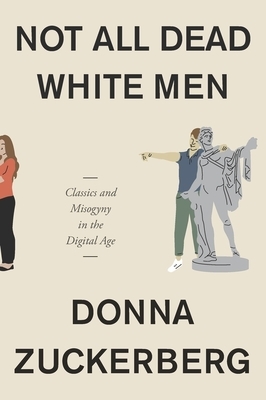 "A chilling account of trolling, misogyny, racism, and bad history proliferated online by the Alt-Right, bolstered by the apparent authority of Greek and Latin Classics. Zuckerberg makes a persuasive case for why we need a new, more critical, and less comfortable relationship between the ancient and modern worlds in this important and very timely book." A virulent strain of antifeminism is thriving online that treats women's empowerment as a mortal threat to men and to the integrity of Western civilization. Its proponents cite ancient Greek and Latin texts to support their claims--arguing that they articulate a model of masculinity that sustained generations but is now under siege. Donna Zuckerberg dives deep into the virtual communities of the far right, where men lament their loss of power and privilege and strategize about how to reclaim them. She finds, mixed in with weightlifting tips and misogynistic vitriol, the words of the Stoics deployed to support an ideal vision of masculine life. On other sites, pickup artists quote Ovid's Ars Amatoria to justify ignoring women's boundaries. By appropriating the Classics, these men lend a veneer of intellectual authority and ancient wisdom to their project of patriarchal white supremacy. In defense or retaliation, feminists have also taken up the Classics online, to counter the sanctioning of violence against women.